Recently Fritz Lanham at the Houston Chronicle offered up some selected new fiction coming soon to a bookstore near you. 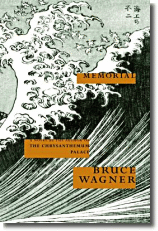 Memorial by Bruce Wagner (Simon & Schuster). Dark comedy combines with a family's redemptive journey, all rendered in Wagner's typical high-voltage prose. Black Girl/White Girl by Joyce Carol Oates (Ecco). Fifteen years after the death of an assertive black student at a mostly white liberal-arts college, her former roommate plumbs the mysteries of her death. The Mission Song by John le Carré (Little, Brown). Naive young interpreter, son of an Irish father and Congolese mother, gets drawn into a seamy British intelligence plot in this latest post-Cold War thriller from the master of the genre. 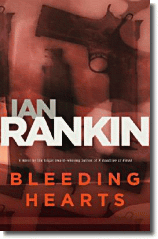 Bleeding Hearts by Ian Rankin (Little Brown). Professional assassin decides his mysterious employer has set him up for a fall. Click here to see the rest of Lanham's list of forthcoming fiction. Click here to read the publisher's description of Wagner's Memorial. Interested in a list of Ian Rankin's "desert island discs"? Click here to check it out. 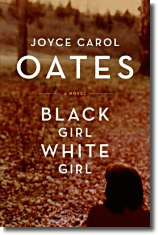 Click here to read the publisher's description of Joyce Carol Oates' Black Girl/White Girl. 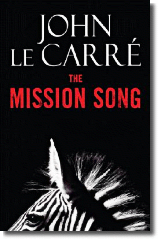 Click here to read the publisher's description of The Mission Song by John le Carré. Earlier on the blog I linked to the Denver Post's coverage of books coming this fall; click here to read it.